The North Marion baseball team's championship run came to an end one game early after the Huskies fell 1-0 to the La Grande Tigers in the semifinals at Bob Brack Stadium on May 29. The Huskies (22-5, 10-2 Oregon West Conference) played the defending state champion Tigers (21-4, 12-0 Greater Oregon Conference) in a spectacular duel of opposing pitching aces, as the two teams combined to tally just six hits and 11 total baserunners. 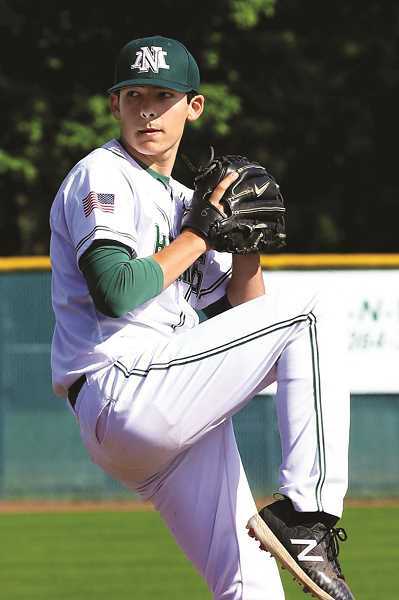 On one side was North Marion junior Griffin Henry, recently named Oregon West Conference Pitcher of the Year, who gave up five hits and struck out 11 in a complete-game effort against the Tigers. On the other was La Grande senior Gregory Blackman, the reigning 4A Player of the Year, who surrendered just a single hit to the Huskies in the win. "You look at both pitchers' stat lines, it's just one of those things where you're like, 'Geez, this game is going to be 0-0 forever,'" North Marion head coach Randy Brack said. "Both teams played extremely well. It was a great high school ball game." Indeed, both teams competed to a standstill for the majority of the contest before the Tigers plated their only run in the top of the sixth inning. Henry had struck out seven batters and allowed only two hits going into the sixth when Blackman hit a one-out single to start the La Grande rally. Henry struck out the next batter and hit Isaac Chamberlain to put runners on first and second for sophomore Logan Paustian, who singled a full-count pitch to the left side of the infield to bring in Blackman. Henry induced the next out to end the inning, but the damage was done. North Marion had its chance in the top of the seventh when junior Nic Iliyn led off with the team's only hit, but Blackman took care of the next three batters to secure the victory and close the chapter on an impressive season for the Huskies that was cut short. "It is what I thought it was going to be," Brack said. "It was nothing to be ashamed of, other than the fact that we wanted to be on the other end of it, and we weren't able to." La Grande went on to fall 3-2 to the Gladstone Gladiators in the 2018 4A Baseball State Championship game on Saturday. The semifinal loss was the final game for the Huskies' five seniors: Bryce Lemon, Andy Schmitz, Trevor Ensign, Noah Vachter and Dalton Swartout. Between Schmitz, the Conference Player of the Year, Lemon Ensign and Vachter — all-conference honorees — and Swartout, a valuable presence in the dugout, Brack will remember this class of seniors for their work ethic and character. "You hope you have those kind of kids on your team, but it doesn't always happen," Brack said. "Those five seniors on the team — that's pretty special. It would have been nice to get them one more game, but it didn't happen." Coming into the season, the North Marion players already had high hopes for their state title chances after bringing home a Legion A State Championship in August last year. All the principle players from that Legion team were members of the varsity baseball program, giving the Huskies a strong path toward a state title run this spring. 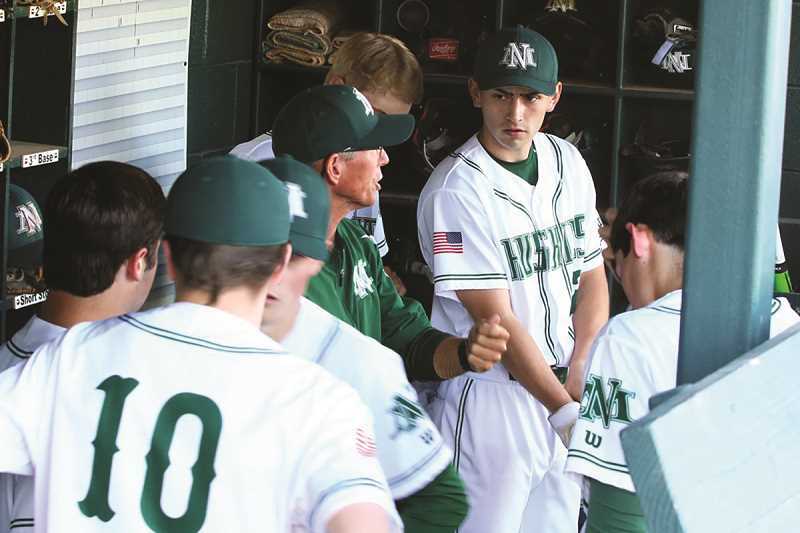 While many of the kids were multi-sport athletes throughout the 2017-18 school year, there was always a focus on the baseball season as the Huskies prepared throughout the athletic seasons. "What we've done over the past year, as far as the extra time that we've asked the kids to put in in the weight room, the focus and everything they put into the season and what we wanted to accomplish, for them to lose in the semis 1-0, to almost get to that chance to play for the state championship, it was very tough," Brack said. Brack was a member of the baseball program's lone state championship appearance, a 3-0 win over Sherwood in 1971. Since then, the Huskies have been to 10 state semifinal games — all losses. "Someone told me — and I don't know if it's true or not — we hold the record for most trips to the semifinals without making it to the finals," Brack said. Regardless of whether the claim is true, or if some other baseball program holds the dispiriting honor, Brack looks at the streak with a certain level of esteem — not at the losses, but at a program that has produced so many quality seasons across more than 40 years of baseball. Many of those semifinal losses have come with Brack at the helm, and many of the alumni members who experienced those losses were there are North Marion High School throughout the playoffs, supporting this year's class of players. "It's a unique fraternity," Brack said. "They want to see us get over that hump of the semifinal and get to the championship game. That's something that you're kind of proud of and feel good about. You have a lot of people pulling for you, and sooner or later it's going to happen."